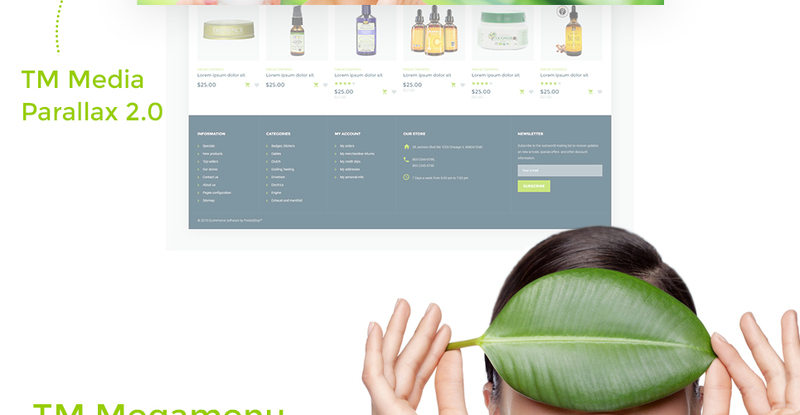 Organic Cosmetics is a responsive PrestaShop theme created specifically for online stores selling nature-inspired healthcare products. Its look is heavily influenced by the material design trend, featuring flat elements, smooth shadows and clean, web-friendly fonts. The boxed layout is full of various content blocks sliders, category banners, product carousels, and more. Additionally, you can modify it by choosing from several preset header, footer, and homepage structures, and also apply one of the 4 color schemes with just one click. This theme provides your store with support of multiple languages and currencies, parallax effect, product quick view, and a usability-first mega menu with incorporated banners. This is a specific technique when the background pic moves slower in perception than the elements of the foreground. Therefore, Parallax leads to a sensation of a three-dimensional space. Parallax scrolling effect offers your viewers an impression of depth in 2D environments of your website. It makes your resource more vibrant and exceptional. Parallax is great for spicing up a landing page, livening up infographics, or even exhibiting a portfolio. Responsive design is a technique of web design which enables web pages to adapt to a display resolution of any sort of gadget - may it be a desktop pc, a laptop or a mobile. Because of the increasing popularity of smartphones, how many persons who log on to the internet sites from phones has grown considerably. This sort of feature lets you adjust websites to smartphones and various screen extensions, ultimately offering mobile device owners with enhanced options. Organisations that offer their goods with technical support get it done in several various manners, however online chat is just about the rarest. It means that you'll find a solution to your question actually fast and have a talk with a person who can guide you to solve pretty much any problems. On-line chat might be the most efficient option to build interactions with your website visitors and turn them into your buyers. It's the most favored HTML and CSS based framework that contains variations for the most important elements used in the HTML coding. Sample data installer is a component that enables to setup and include a sample files to a web theme quick and simple. You don't have to seek another plugin or attempt to understand insights on how importing instruments of PrestaShop work - Sample Data Installer can do everything for you. This specific instrument will help you to set up the essentials and then personalize it depending on your internet business needs. Can I contact the PrestaShop ecommerce theme for Online Cosmetics Store author? Yes. You can contact this PrestaShop ecommerce theme for Online Cosmetics Store author/author's team directly using your personal account under the Support tab. 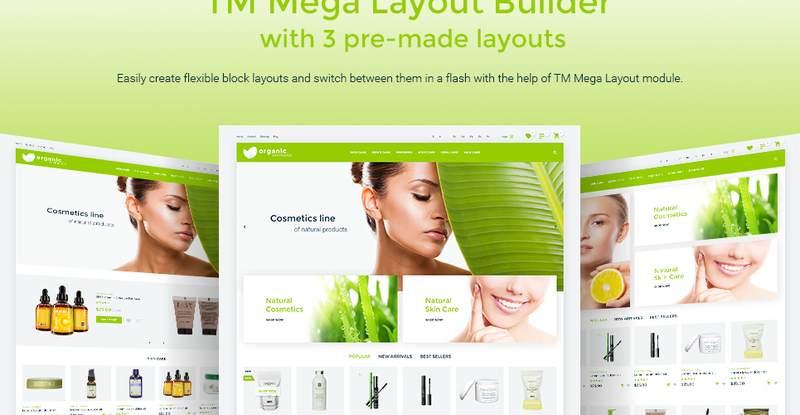 Is it possible that Template Monster will contact my client which website I made from Template Monster's website PrestaShop design theme for Cosmetics Beauty Store ? Yes, our legal department checks licenses regularly. In case we won't find designer's contact information on the site which was made from the PrestaShop design theme for Cosmetics Beauty Store of ours we will contact the owner of the site directly. How many applications, programs etc can I use to integrate with the PrestaShop designs for Fashion & Beauty under one extended license? The extended license gives you the right to use the purchased PrestaShop designs for Fashion & Beauty for the integration with one software/freeware/application/CMS/sitebuilder only. In case you would like to use the template with the other application, the other license is to be acquired. Is it reasonable to make unique purchase of PrestaShop ecommerce theme for Fashion & Beauty Blog that was already purchased before? Yes, it's reasonable to make a unique purchase of PrestaShop ecommerce theme for Fashion & Beauty Blog. Because there is very small chance that you will find the same design on the net. There are more than 3,000,000,000 webpages online now according to statistics on www.google.com. Can I customize the PrestaShop design for Beauty Advice if that's required by application settings? 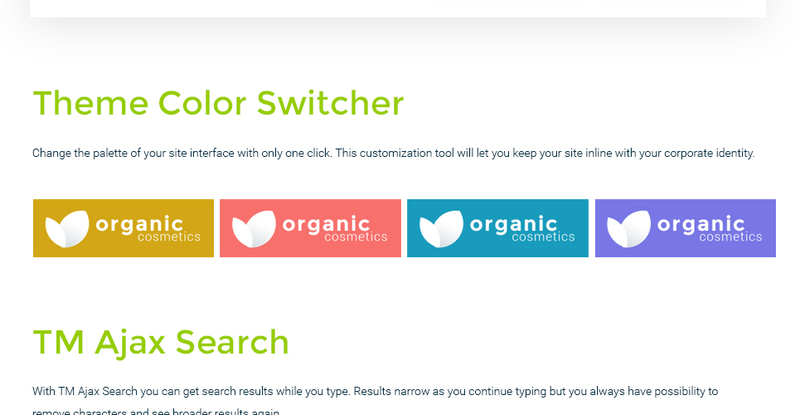 Yes, you can customize the PrestaShop design for Beauty Advice code, graphics, fonts to any extent needed. Can I use graphics from PrestaShop design for Beauty Accessories Store I purchased for use in printing? Yes, it's not prohibited to use the PrestaShop design for Beauty Accessories Store graphics for printed material, but the resolution of the templates graphics ( except for logo templates) is not enough for printing. Will TemplateMonster help me to edit my PrestaShop ecommerce theme for Cosmetics Department Store ? TemplateMonster offers you a variety of sources to help you with your PrestaShop ecommerce theme for Cosmetics Department Store . Use our comprehensive Online Help Center to get the basic knowledge about your PrestaShop ecommerce theme for Cosmetics Department Store . Our Knowledgebase contains customers questions and most frequent problems. Anyway, you can always use TemplateMonster 24/7 phone support, try our Ticket System or Live Support Chat to get qualified assistance from our support representatives. What is Extended License for Fashion & Beauty Store PrestaShop ecommerce theme? 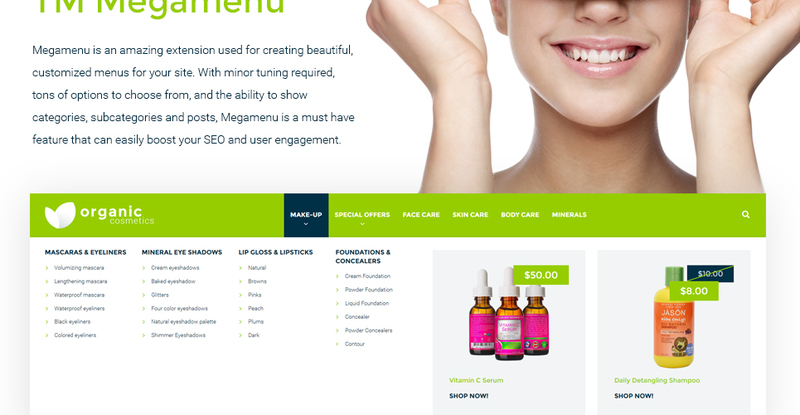 Can I get the PrestaShop theme for Beauty Tips in higher resolution to use for printing? 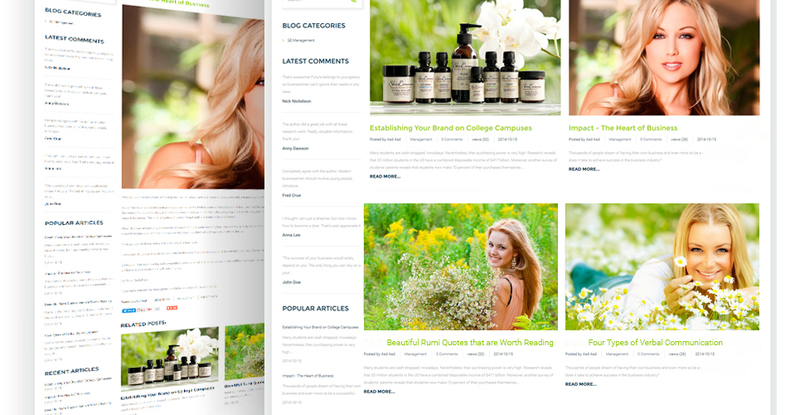 No, we design Fashion & Beauty Magazine PrestaShop design themes optimized for web resolution only. 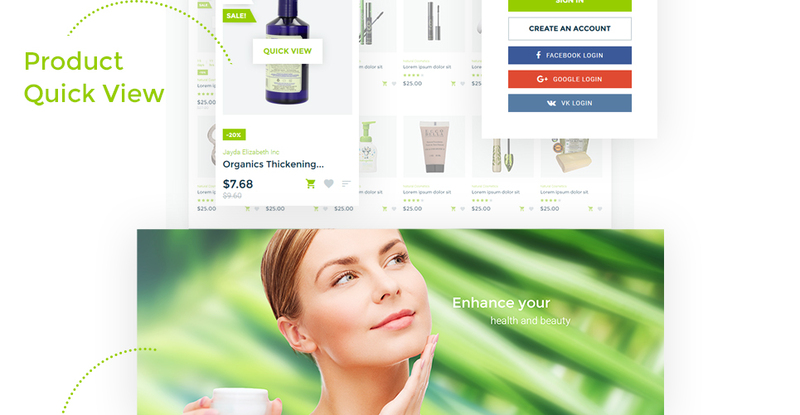 Are there any restrictions for using imagery, cliparts and fonts from the Beauty Website PrestaShop theme I purchased? All imagery, clipart and fonts used in Beauty Website PrestaShop theme are royalty-free, if not stated otherwise on the product page, and are the integral part of our products. One Time Usage License and Developers License give you the right to use images, clipart and fonts only as a part of the website you build using your template. You can use imagery, clipart and fonts to develop one project only. Any kind of separate usage or distribution is strictly prohibited. In what cases I don't need the extended license for PrestaShop designs for Fashion & Beauty News ? Will the PrestaShop ecommerce theme for Fashion & Beauty Magazine be deleted from TemplateMonster database? No, the PrestaShop ecommerce theme for Fashion & Beauty Magazine will not be deleted from TemplateMonster database. Can I put a line at the bottom (or any other spot) of my new product "Website development by Company name" after purchasing PrestaShop design for Cosmetic Products Store? Yes, you can place a note at the bottom (or any other spot) of my product "Website development by Company name". Nevertheless, you cannot place "Website design by Company name" while using one of PrestaShop design for Cosmetic Products Store. Is it possible to buy the particular image from the Fashion & Beauty News PrestaShop ecommerce template? No. According to our Terms and Conditions we never sell the images separately from PrestaShop designs for Fashion & Beauty Store (as well as the templates separately from the images). I have customized the PrestaShop ecommerce template for Fashion & Beauty News and would like to protect my content by copyright, can I place Copyright, Mycompanyname.com? After PrestaShop ecommerce template for Fashion & Beauty News purchase you can put your copyright to the template. But you cannot place a line at the bottom (or any other spot) of the customized project saying "Website design by Company name". Nevertheless, you can place "Customized by Company name". What is a unique purchase license for Fashion & Beauty News PrestaShop ecommerce template? If you purchase the product at a 'Unique price' it guarantees that you are the first and the last person to buy this Fashion & Beauty News PrestaShop ecommerce template from us. It means that this template has not been sold before and you become an owner of a unique design. After this kind of purchase the template is being permanently removed from our sales directory and is never available to other customers again. The unique purchase license allows you to develop the unlimited number of projects based on this template, but the template should be customized differently for every project. Make sure that these charges for Cosmetics Store PrestaShop template have different order IDs. If it is so, contact our billing department. 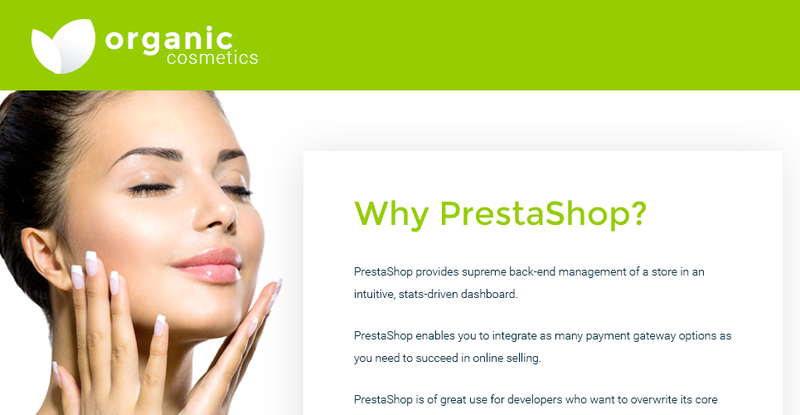 What is the price for acquiring the extended license for PrestaShop theme for Beauty? There is no set price for acquiring the extended license. 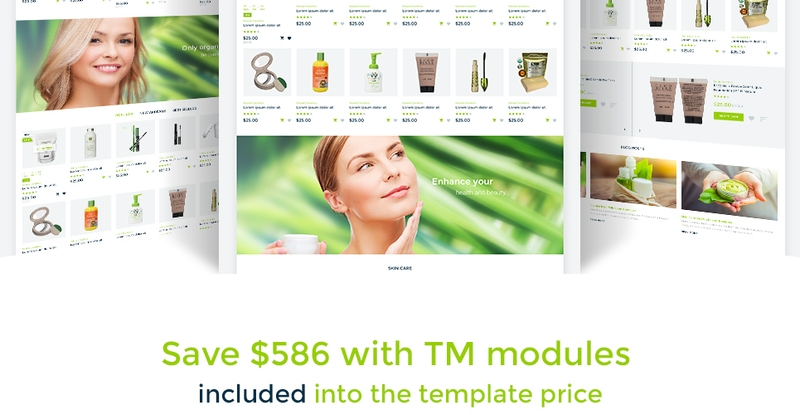 The price is based on the PrestaShop theme for Beauty's unique price for those templates you would like to use for the integration. The price for purchasing license for a single template is half of the template unique price. Are there any discounts if I'm buying over 10, 20, 30 or more Cosmetics Beauty Store PrestaShop ecommerce template? Please email to marketing@templatemonster.com with your inquiries about Fashion & Beauty PrestaShop design themes. Will TemplateMonster help me to install my Beauty Website PrestaShop theme? Some of our products like osCommerce templates, Zen Cart templates, etc. require installation to operate. Installation services are not included in the package price. 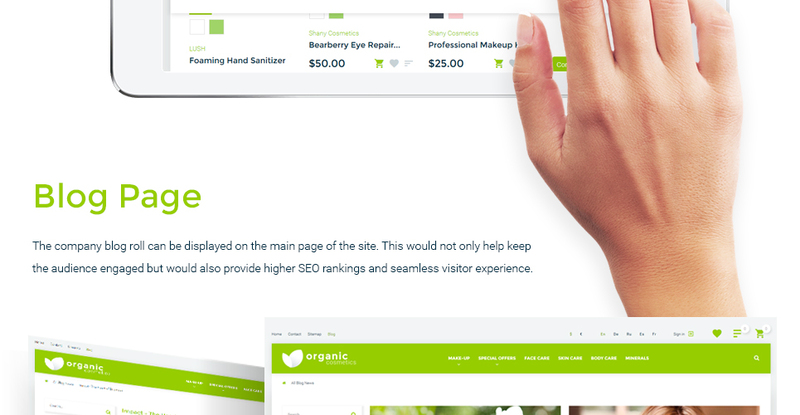 TemplateMonster though offers you a variety of sources to help you with installation of your Beauty Website PrestaShop theme including installation instructions, some articles with our Online Help Center. Our Knowledgebase contains customers questions and most frequent problems. 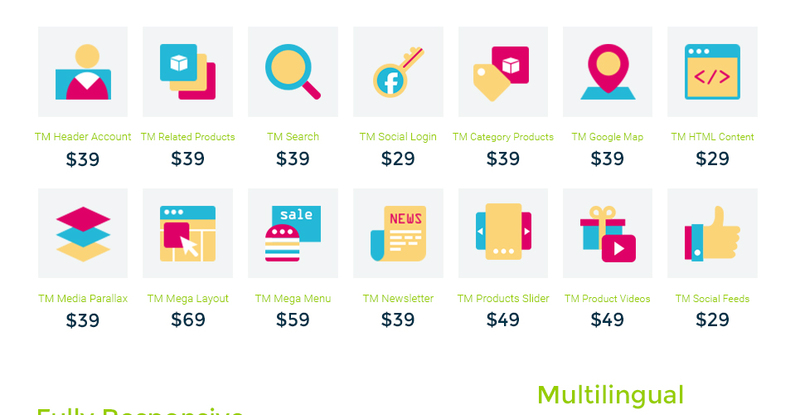 Anyway, you can always refer to our partners from TemplateTuning.com to install your Beauty Website PrestaShop theme for you for a small fee. 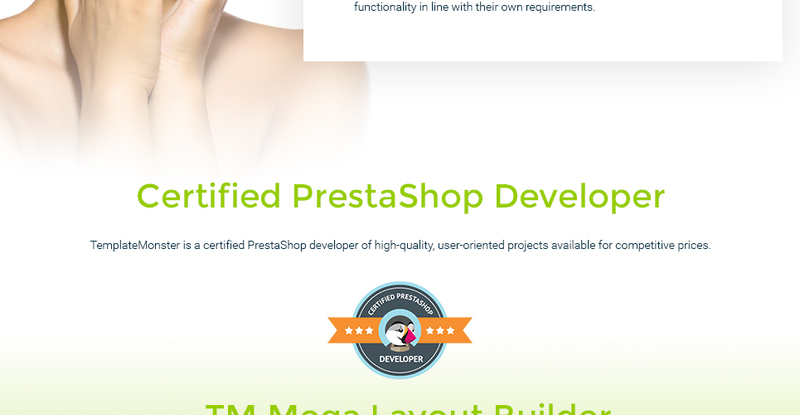 Can I resell PrestaShop designs for Makeup Store I bought the developers license for? You cannot resell the customized PrestaShop design theme for Cosmetics Beauty Store as a template, but you may sell it as a project to your client. Can I resell the Beauty Products Store PrestaShop template as is? No, you cannot resell the Beauty Products Store PrestaShop template as is. Is there any return policy for PrestaShop themes for Cosmetic Products Store? Requests for a refund are accepted at www.template-help.com/tickets within the period of 2 weeks after the order of PrestaShop ecommerce template for Cosmetics Retailer is placed. You should accompany this request with detailed and grounded reasons why you apply for a refund. Please make sure your request does not contradict the terms and conditions specified in the policy. A refund is issued to you upon receipt of a Waiver of Copyright signed by you. Do you provide any scripts with your PrestaShop ecommerce templates for Skin Care Products or could you do some custom programming? Our templates do not include any additional scripts. Newsletter subscriptions, search fields, forums, image galleries (in HTML versions of Flash products) are inactive. 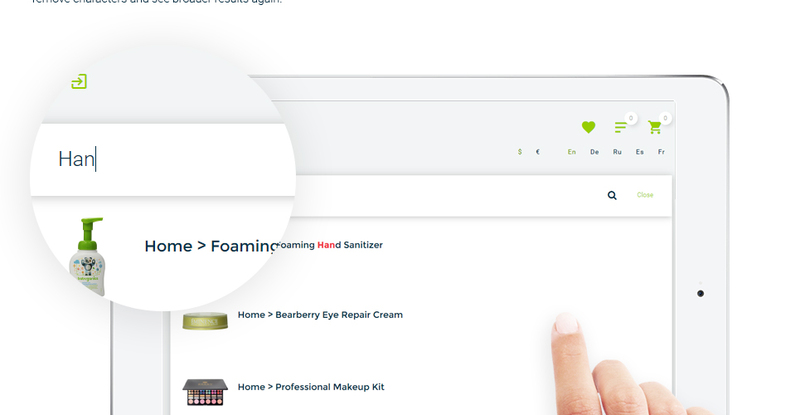 Basic scripts can be easily added to a PrestaShop ecommerce theme for Cosmetics Store at www.TemplateTuning.com If you are not sure that the element you're interested in is active please contact our Support Chat for clarification. What am I allowed and not allowed to do with the PrestaShop templates for Fashion Beauty? 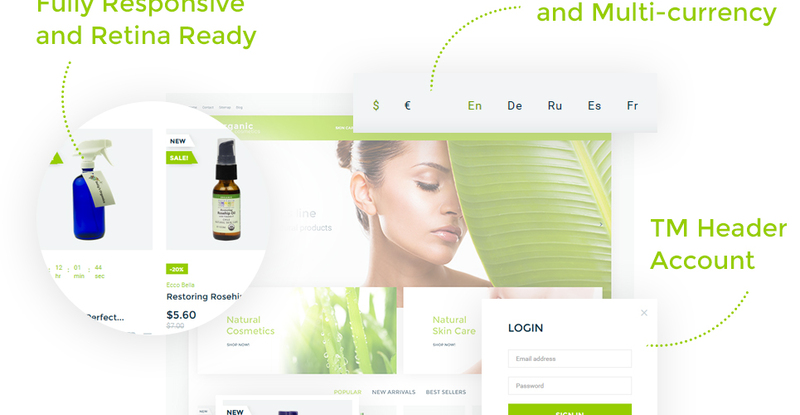 You may: Build a website using the PrestaShop ecommerce template for Cosmetics Shop in any way you like.You may not:Resell or redistribute templates (like we do).Claim intellectual or exclusive ownership to any of our products, modified or unmodified. All products are property of content providing companies and individuals.Make more than one project using the same template (you have to purchase the same template once more in order to make another project with the same design). Fantastic template, good support, help desk in chat good.. I am satisfied with templatemonster. I am a web agency, I use Template Monster templates very often, I have installed template for my client, template very easy to install, Design of the template very modern and very intuitive, is also included the blog with very simple functions to enter articles And comments. I recommend this model to both beginners and experts. Monster template staff is always very helpful for all inquiries and assistance. Thanks Monster template. This template has a very beautiful layout and also has six columns of products instead of the normal three or four columns which is the main reason I chose this template. One other thing worth mention is page loading speed of this template is very fast compare to other templates which make this template a must have. The product layout page, contact form layout and cart editing page are in perfect order and organized. All in all, this template has a beautiful layout, user-friendly for consumers and fast loading time. Highly recommended. Last of all I want to thank the developers and TemplateMonster Team for their amazing templates and services. Installation sur site d&eacute;j&agrave; existant assez complexe. Contrairement &agrave; ce qui &eacute;tait annonc&eacute; dans le descriptif, l&#039;installation sur un site dej&agrave; en ligne en guise de remplacement d&#039;un autre th&egrave;me demande de nombreuse heures et surtout des comp&eacute;tences techniques. I am a freelance developer, building websites (Static or e-shops). The main reasons for choosing the template were : - Advanced features installed - Great interface and layout - Relevance with my initial design considerations for my website. My insights for improving the template would include to enhance the documentation provided, so as to include a more detailed how-to for all the great features included in the template. I would recommend this template for both novices as well as expert developers. The reason is that while some features might need advanced skills to manipulate, the tools provided in the template go a long way in assisting the developer to create a unique website. Estoy muy satisfecho y contento de comprar su plantilla es muy diferente y completa espero seguir adquiriendo plantillas con ustedes. I create a project for a client, this is my first experience with templates and I was surprised by how far gone progress, and it is now all conveniently arranged.